This is an Ezoic review. Before I tell you about my experience so far with Ezoic, let’s get the backstory out of the way. When you are working on several websites with different business models you tend to focus more on what is working. In some cases you may focus on what has a greatest potential. For about 4 years or longer, I have had a passion website. This is a website that was created with no view of making money from it. I enjoy what it stands for, so it was created. Traffic started to pick up about a year ago when I really started making an effort. It then occurred to me. Why not place some display ads on it. It wouldn’t hurt to. So as many would do I went with the most famous one, Adsense. By the way, this website is on WordPress. It wasn’t long before it started picking up some pennies here and there through Adsense. This was not money of any significance. It was so slow that I had a goal to reach their payment threshold within just over a year. After all it was very passive, I never had a plan to monetise this website at all. Adsense continued to trickle in over the year. As a passion project the content continued to grow, as did the ranking as the website was starting to build some authority within the niche that it is in. As an SEO, I made use of my experience to improve rankings as well. The pennies soon turned into a few pounds, and I was pleased. From not wanting to earn anything my goal became to get it to a point where it could cover its own expense. Not that it had many, it was only hosting. I created 99% of the content myself, and had a couple friends who helped due to shared interest in the niche. I am part of a weekly mastermind where we discuss niche sites and strategise. This is where I met a new friend Ben. 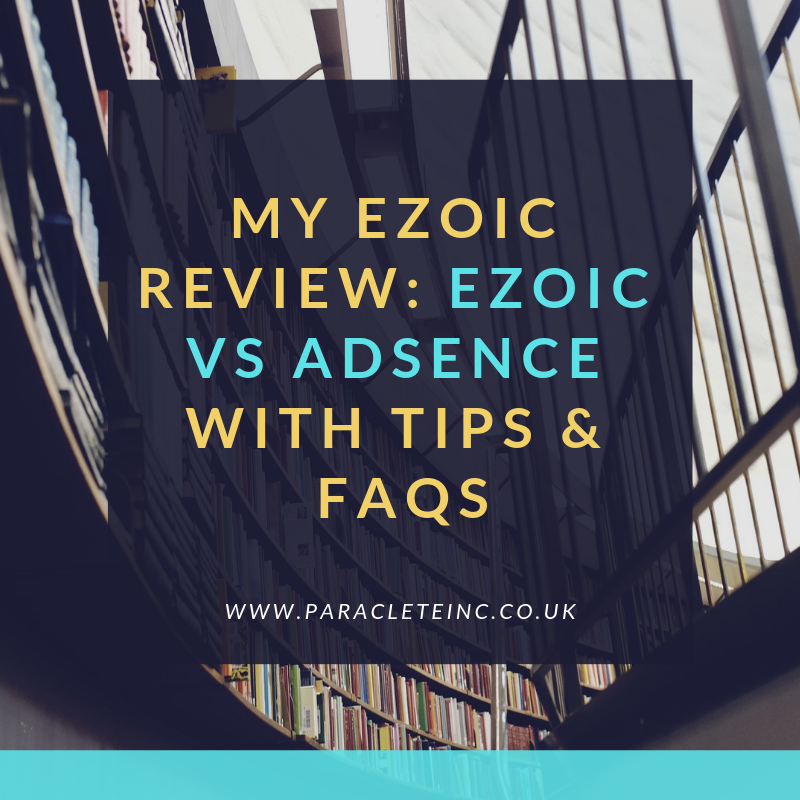 Ben was the one who recommended Ezoic, having recently placed it on his own website and seen an extra $300+ in revenue added to his niche website. This was over a fortnight. As always I went onto their website to make sense of things in my own time. What impressed me was that they made use of Artificial intelligence to actively improve your ad revenue. Instead of the traditional way of just posting and ad and waiting, Ezoic runs ad test. Ad tests look at how visitors are interacting with your website and what sort of adverts are drawing their interest. The rest is fairly obvious. Present more and more of the ads that are doing well. Get rid of the ads that are a waste of space. I jumped straight in. The signing up process was fairly simple. Once logged on, the dashboard can be daunting to start with. However, keep in mind that, more buttons means more options. I got my head down and started exploring the platform. This is what my Ezoic panel looks like. There are a few things that you would need to set up at the start. I took a while to do it, and received an email from my account manager to say he had done it for me. That’s obviously not the same standard of service giants like Google would give to tiny site, such as the one I was peddling. Ads.txt is becoming a standard requirement with most advertising networks. It is a declaration of what ads are being displayed on a site. The SSL was not an option that I explored, as I already had one set up on the website. Caching just allows your speed to be quicker for site loading. Mediation allows you to runs ads from other ad networks that you may have already joined. For instance, this is where you would go if you wanted to connect you Adsense account to Ezoic. Cloudflare is a caching platform. Ezoic leverage it for Ad placement and site speed. The Ad Tester is the AI that tries out different things to find the best placement for specific web pages and banners. My Google earning for this site had peaked at £16. The rest of the months had fluctuated. I would say it had settled at just above the £10/month median. It would have anomalies of £4 and perhaps the £16 was an anomaly as well. I am not going to put these figures in percentages, because it does not carry context. For a small site a 500% increase is quite insignificant. While, a 5% increase is incredible for a large website. This is a small site. Take it in perspective. My personal Ad manager has been an revelation. Just having someone who can answer questions and is vested in your success is a massive boost. This also means that if you are not tech savvy, you have someone to help you with the set up. I think that Adsense is a great place to start off. There is a lower barrier of entry and ease of set up. However I would definitely say that Ezoic is a much better platform than Adsense. Having said that, I have yet to use it on any of my bigger sites, to see what sort of result it would get me. They are an ad network, so they make commission on ads that are placed through them. The easiest way to get support is to get in touch with you Account manager. He/she will always respond to your emails in a timely manner. Provided you haven’t made any changes after the cutoff date, which is the 21st of the month. You will be paid on the 31st. The Ezoic artificial intelligence is what I was sold on. Ad placement is not an exact science for the novices. What is the best place to put an ad? The wisdom will vary. One thing for certain is if AI runs it, you will find out. Ezoic’s AI track ad impressions and creates more of what is working, placing it on more of the places that are yielding results.